Home General	Amazon’s New Delivery Service Program: A Win for Entrepreneurialism or the Furthering of a Monopoly? Amazon’s New Delivery Service Program: A Win for Entrepreneurialism or the Furthering of a Monopoly? Read any of the recent, glitzy headlines about Amazon’s new Delivery Service Partners program and you walk away with the feeling that Amazon is not only pushing the threshold on philanthropy, but also potentially saving ‘down and out’ workers from a destitute future. The new program announced in 2018, offers entrepreneurs a way to start a business delivering Amazon’s last mile packages in various local markets across the US, all with the support and backing of the world’s largest online retailer. Not to be confused with the Amazon Flex program, which pays people an hourly rate to deliver Prime Now packages within an hour, the newest Amazon Delivery Service program takes aim at competing directly with UPS, FedEx and USPS small parcel delivery services. But in announcing the new program, Amazon has cleverly packaged the program as an opportunity for individuals to start their own business. Amazon highlights the experiences of some of its test participants, including Olaoluwa Abimbola, quoting on its own website that Abimbola went from “working at a desk job…to running his own business and hiring more than 40 employees.” At the surface this feel good story could have the effect of making even the greatest Amazon opponent want to cozy up with Jeff Bezos and give him an enormous hug for his humanitarian efforts. As if that wasn’t enough, Amazon even threw in an extra touch to broaden the appeal – a $10,000 reimbursement for qualified veterans, which is a very deserving perk for our country’s veterans but may or may not be heart-felt judging by Amazon’s interesting past. All of the “feel good” emotion aside, if you take a bit more discerning approach to the news and start poking and probing a bit further, the glitter loses some of its luster and starts to appear to be more of a “cover” for what’s really going on underneath the hood. Are New Entrepreneurs Really Being Created? In order to gauge whether or not true entrepreneurs are being cranked out by Amazon, one has to take a step back and look at what constitutes real, 100% entrepreneurship. According to Wikipedia, “an Entrepreneur is an entity which has the ability to find and act upon opportunities to translate inventions or technology into new products.” For a business to cross into the waters of entrepreneurism, it seems the entrepreneur needs to have the autonomy to act upon opportunities. -Offer exclusive deals on products and services. – Provide three weeks of hands-on training. -Give applicants the tools and technology needed to run a business. – Provide on-going support from Amazon. Are You Really Starting Your Own Business? From the perspective of entrepreneurship, Amazon’s program more closely resembles a contract worker or franchise scenario rather than a new business venture. With a comprehensive ‘operations manual’ (telling you exactly the way Amazon wishes for you to run your business), Amazon branded vans from which you’re contractually bound to “only deliver Amazon packages”, hands on training to run your “own” business exactly as Amazon stipulates, and training to ensure that you’re running the business as Amazon sees fit, the program loses a bit of the entrepreneurial luster. While Amazon says it won’t be intimately involved in telling owners how to operate their businesses, many of the program’s details suggest otherwise. Amazon will set standards for minimum salaries and stipulates that “entrepreneurs” offer benefits and paid time-off to those they hire. Furthermore, Amazon requires you to run the routes they set up for you, Amazon calculates how much you will make for each route, Amazon dictates that you start at their facility every day and conduct pre and post work meetings, and Amazon requires that you attend training at their facility and that you must provide service 365 days per year. All of these things may seem particularly helpful to someone not accustomed to running a business, but it also resembles an employer/employee relationship, where the employer dictates the terms of the agreement and the employee must perform the work as directed. At the end of the day, Amazon could face some legal challenges related to employee classification. Of course, Amazon created the Delivery Service program not simply for the altruistic goal of helping underserved workers start a business of their own but more importantly to closely control their shipping costs and expand their operations. According to the New York Times, shipping costs have risen to “22.5 percent of Amazon’s sales.” Rather than being subject to the negotiated rates of FedEx, UPS and USPS, Amazon is attempting to lower their overall shipping cost structure by providing this service themselves. Additionally, Amazon’s new program will reallocate a share of sales from the long-standing freight companies over to – you guessed it…Amazon. Competition isn’t a horrible thing, and adding a new company to the fray can have some benefits. If Amazon truly disrupts the industry and offers reliable service that is competitive to others, overall shipping costs may be reduced by the additional competition. 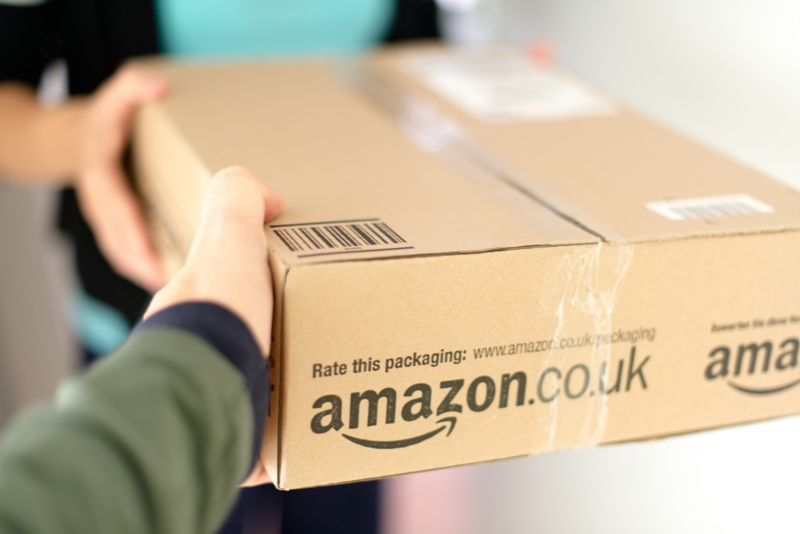 But with Amazon moving into significant control over all aspects of an entire industry (the online retail platform, the products themselves, and the logistics of getting those products to consumers), some logistics companies are worried that Amazon is growing into more of a monopoly. In a recent survey of the 600 warehouses in its network, FulfillmentCompanies.net found that 80.8% of its fulfillment companies feel that Amazon is moving more towards a monopoly. The line to cross in order to be considered a monopoly is very grey – but what isn’t grey at all is that Amazon is methodically expanding to control more of the global logistics market. And as long as consumers receive their packages same day and at lower costs, they just might not give the monopoly concept a second thought. Will Schneider is the founder of insightQuote, a match-making service for B2B services. Previously, he ran two privately held fulfillment companies and served on the executive team of one of the largest online lead generation services in the insurance industry.